Mind Storm Studios has introduced First Ever Personal Computer Game that is Made in Pakistan by name of Cricket Revolution. And i would call it an amazing game and will surely compare it with great games like Brain Lara Cricket and Ea Sports Cricket. The Graphic and controls of game are amazing and people had liked it very much some even calling it best game ever. its not the best game ever according to me but a great one for sure. 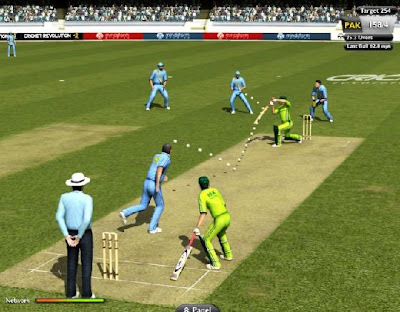 While playing this game you will feel that you are playing Cricket in real. The Game is available in stores now and you can get at economical price. Following is the Trailer of the game i hope you will like it. Indian Pilot what are you doing in flight?